You’ve always wanted to fly planes. But is now really the best time to think about flight training programs? The short answer is yes, as many commercial airlines are in need of pilots. Getting started with aviation training has never been easier. Here at Alliance Aviation, we have specific programs that align with your goals. Let’s take a closer look at some of our programs. We have already discussed flight type rating at length. So then what can you expect from this FAA certified 737 type rating recurrent training? For one thing, the program is built for pilots looking to either earn or maintain their commercial or cargo certification. Students should plan for two days in order to complete their training. We encourage both private and regional pilots to consider this program. Maybe you already have a commercial pilot certificate with appropriate category and class ratings, as well as an instrument rating. Perhaps you’re qualified as Pilot-In-Command (PIC) or Second-In-Command (SIC). It could be that you also have an FAA license. If you check all of the aforementioned boxes, then it’s time to take the next step in your aviation career. This 737 type rating course puts you on track to become a Boeing certified pilot. See if this program from Alliance Aviation makes sense for you. 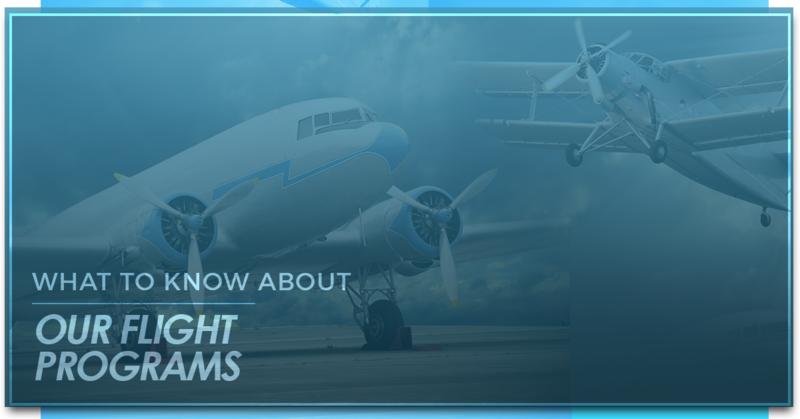 It’s time to take flight with your dream of becoming a commercial pilot. This 737 type rating initial course helps you learn the intricacies of flying a 737 with an FAA type rating. Not to mention, the Alliance Aviation facility has it all, from flight simulators to an FAA-approved training center. Have you given some thought to airbus pilot training recently? Those interested must meet the same requirements listed for the FAA 737NG Prior Experience program. This course, which takes eight days to complete, includes additional training on our flight simulators. Alliance Aviation can help you keep your skills fresh. All recurrent courses, including this one, consist of an oral examination and practical test. Give yourself two days to complete this program. When it comes to airline pilot training, Alliance Aviation has you covered. Our Airbus 330 aircraft course leads to a type rating for the specific A330 aircraft type. Those interested must have a current commercial pilot certificate. Many aspiring commercial airline pilots come to us for ATP CTP Certifications. Why exactly? Well, our program involves high-altitude aerodynamics and maneuvering, airplane weather detection systems, low-visibility operations, and much more. 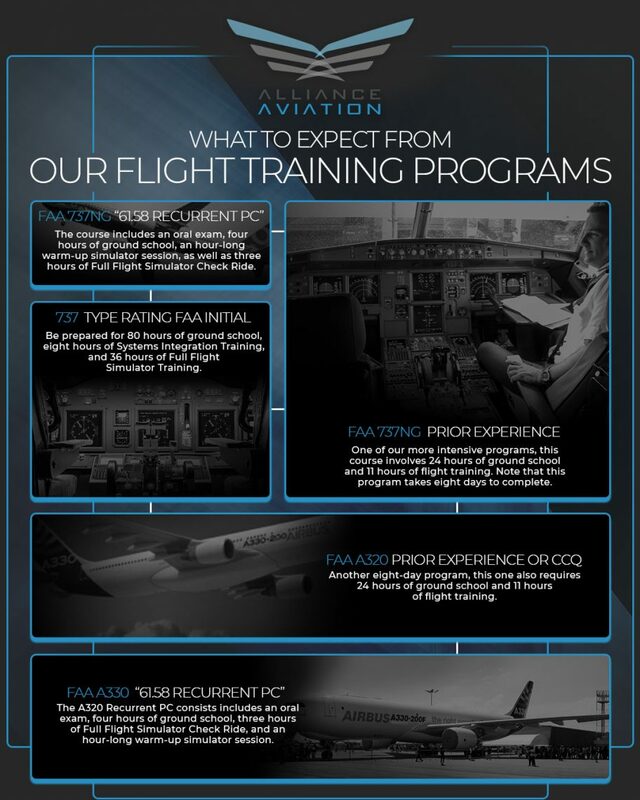 These are just some of the flight training programs offered at Alliance Aviation. Not only do our educators have decades of flying experience, but they’re devoted to helping others advance their careers. There’s never been a better time to consider commercial airline pilot training. See what the Alliance Aviation team can do for you. Enroll in one of our programs now to get started.